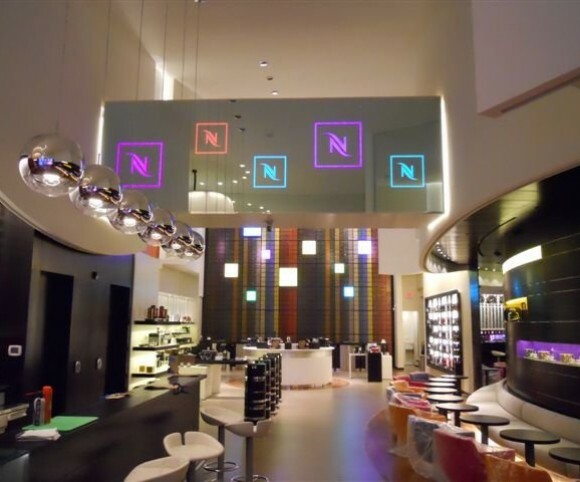 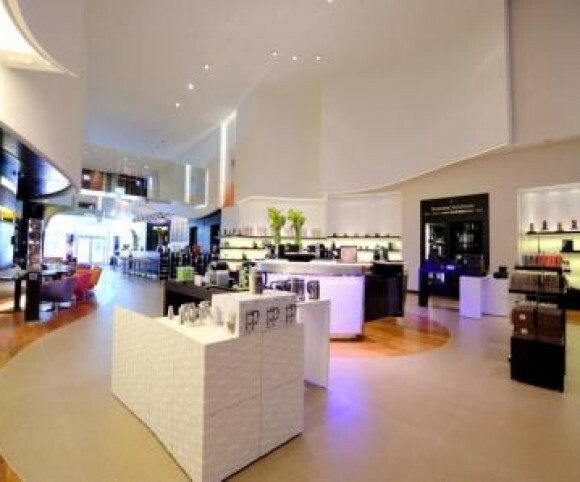 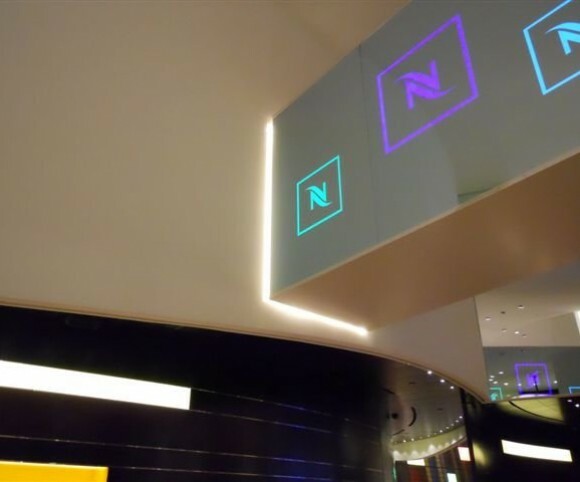 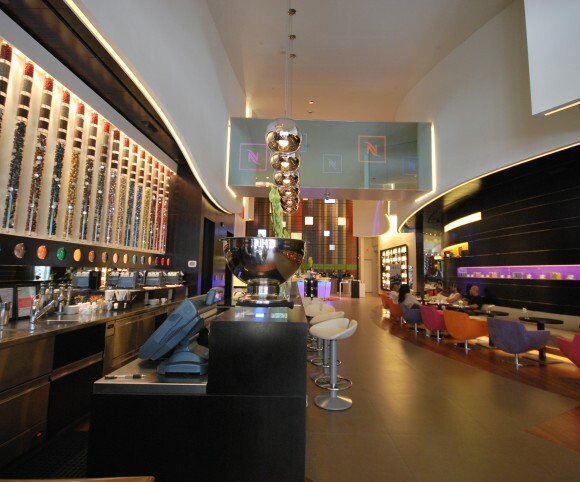 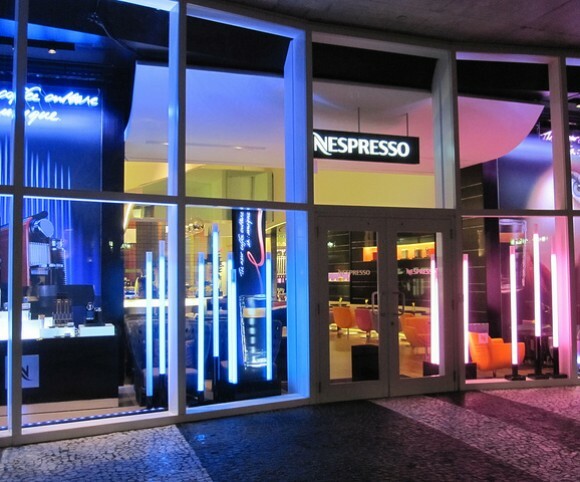 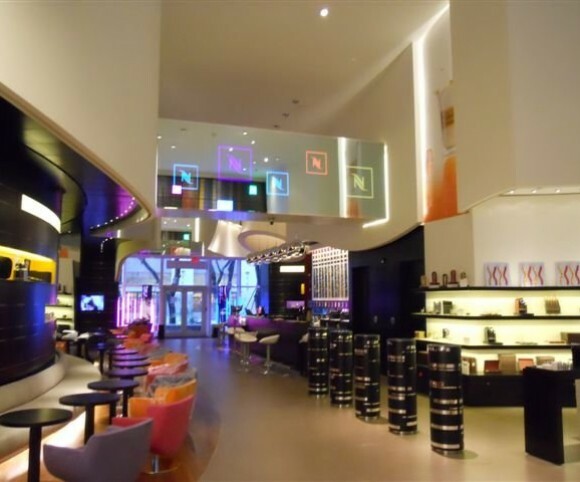 Sited at the base of the revolutionary Herzog & de Meuron parking garage 1111 Lincoln Road, the Nespresso Miami Beach boutique bar is a dramatic combination of European elegance and South Beach vibrance. 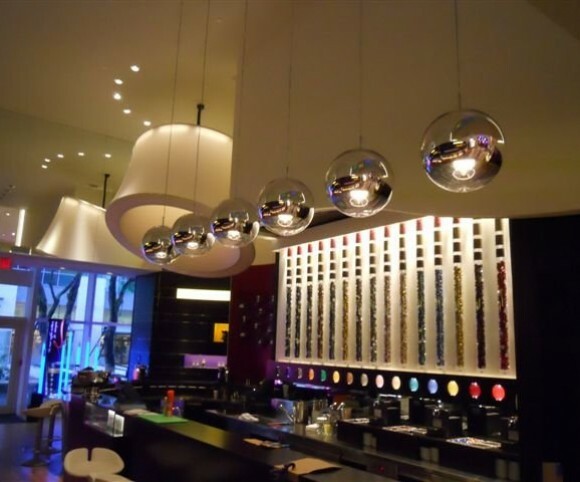 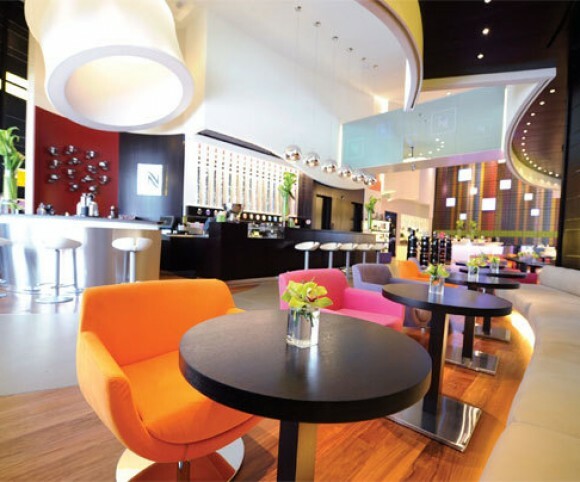 The soaring 30 foot curved ceiling, LED back lit mirror cladding, and brilliantly colored Capsule Wall integrate to make a bold and sophisticated space that is equal parts hip hang out and stylish boutique. 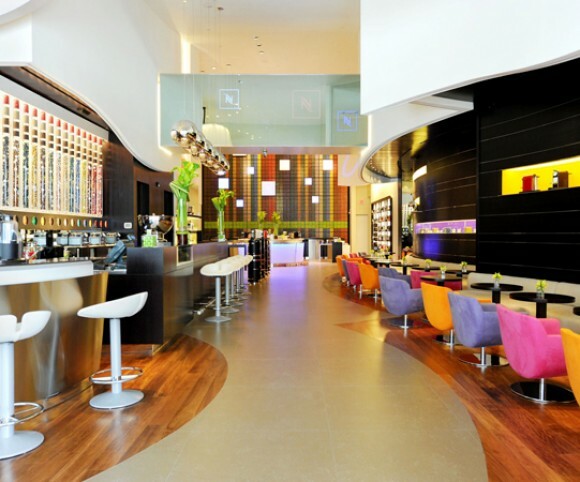 Project worked on while employed at Brand + Allen Architects.